I was admittedly between meetings when I first got wind of the feature on Tory Burch's Westerly Home featured in the October issue of Architectural Digest. My mind lustfully danced with these images for hours after (and still is). Why? Perhaps because we are moving and re-decorating is inevitably on the horizon. Perhaps because I've been examining fabrics, curtain swatches, Etsy shops and plotting my impending procurement of a new batch of myrtles...and I'm mad about topiaries. Perhaps because I'm so in the weeds of business & packing that I needed a little piece of visual candy to calm my mind. Despite these facts, there is something quite effervescent and intoxicating about this Hamptons home she spent nine years decorating. The imagery below speaks for itself. Part of the interior magic is the result of Daniel Romualdez .... the house just oozes with relaxed sophistication. 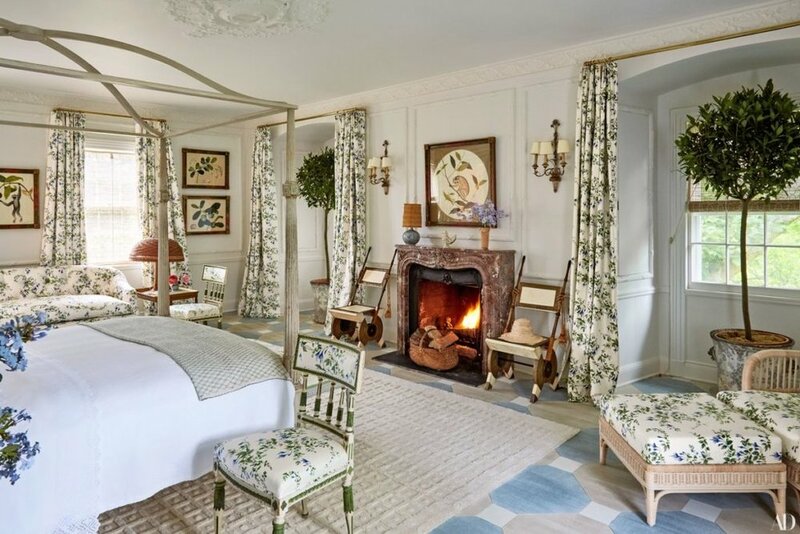 View for yourself below and do watch the punchy-chic video of "Tennis, Taffy, and Topiaries at Tory Burch's Hampton's Home".